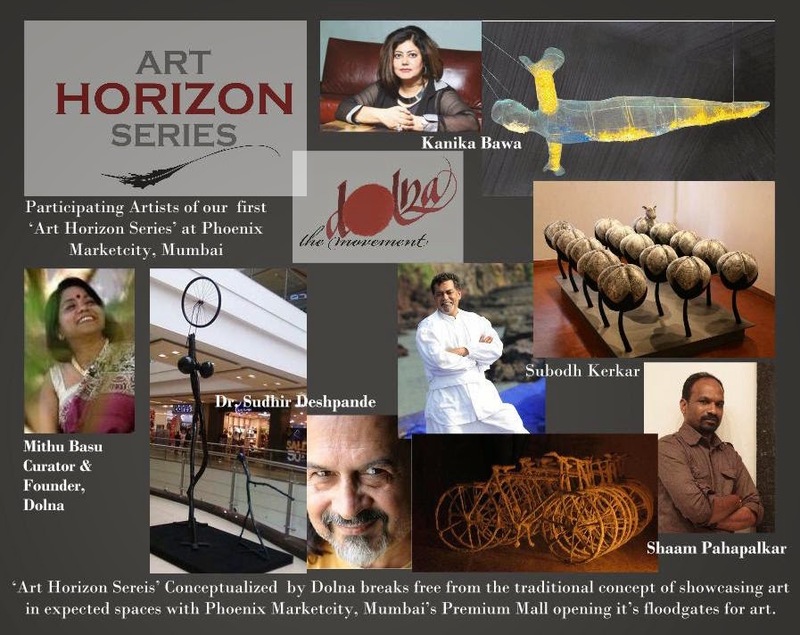 The Art Horizon Series curated by Mithu Basu, Founder of Dolna, especially for Phoenix Market City,Kurla (PMCK) is changing your shopping experience forever. Be surprised, provoked, stimulated with contemporary art that stuns you at every corner as you shop. This is just the beginning for the art deluge slated to invade the spaces across the mall. The first curated theme mirrors the eclectic nature of Life itself. The series has 11 works of public art from the studios of ace artists from across India such as Shaam Pahapalkar, Subodh Kerkar, Dr. Sudhir Deshpande and Kanika Bawa will be on display for a period of 45 days. “Art within the confines of galleries has always been for the privileged few . I felt strongly that art must break barriers to reach out to larger audiences, especially children and families as a whole. I committed myself to the search of such places- explored clubs, hotels, amphitheatres and saw first hand the impact of art on new audiences. PMCK’s opening of its doors to Dolna to fill its spaces with art is nothing short of a dream come true for art, artists and new audiences” said Mithu Basu, Founder of Dolna. Phoenix Marketcity, a shopper’s paradise in the heart of Mumbai brings the international standard hub of retail with domestic and international brands along with entertainment and commercial office spaces. For lovers of public art, corporates or individuals PMCK offers a great opportunity under one roof to browse through the best of installation art that India has to offer.